The market is booming. You received an offer you couldn't refuse and cashed in on the 10% interest you have been holding in that New York City real estate partnership. You don't know the buyer, but your attorney confirmed you have no restrictions on who you can sell to and the price is right. The deal is closed. You receive a $5 million check in exchange for your 10% interest and increase your federal and state estimated tax payments accordingly. Two and one half years later, New York City's Department of Finance sends you a certified letter citing this transaction and requesting you remit the transfer tax immediately. The combined City and State rates would come to 3.025% of the selling price of the "real property" or $162,500. Adding in interest and penalties to date, the total is well north of $250,000. Being a state and local tax practitioner has always been a stressful job. Stress eating is certainly understandable, especially around the holidays. Nevertheless, after the Wayfair decision eliminated the physical presence requirement to compel sales tax collection, is it still necessary for states to force cookies down our throats. Not the baked kind, but the electronic variety. As avid readers of my blog know, the states have been very creative in attributing the more than de minimus physical presence previously required by the U.S. Supreme Court in Quill to internet retailers to create sales tax nexus and require the retailers to collect sales tax. Some of these approaches, especially those attributing the presence of a representative or agent to an otherwise out of state retailer, certainly seem to make sense. Now that Quill is dead, where will the states go next? Alternatively, is the announcement of its demise exaggerated? Will eliminating the physical presence requirement solve all our problems? What about uniformity for businesses and enforceability issues for taxing authorities? Has this all been magically resolved? The phrase “smoking gun” refers to the strongest of circumstantial evidence that one could have. One arrives at a crime scene to see a gunshot victim and a few feet away the holder of a gun with smoke emanating from the barrel, while not direct evidence of who shot the victim, nevertheless makes a compelling statement. So what, if any conclusions, can we jump to regarding Governor Cuomo’s recently released budget? Certainly no tax relief for high-income taxpayers, despite the proposed legalization and corresponding twenty plus percent taxation of cannabis sold in New York State. My regular readers are now experts in the concept of statutory residency: Have a permanent place of abode and be present in the jurisdiction for more than 183 days and you magically become a tax resident. You also know it is your burden to prove you were not in the jurisdiction and the taxing authorities are under no obligation to prove your presence. How is it humanly possible to meet the burden of proof, you ask. Well, sometimes it is easy. You leave for Florida the day after Thanksgiving and don’t come back until July 4th. Of course, you saved your plane tickets to and from Florida. You also charged something every single day and played golf at least five times a week. Any reasonable auditor is going to agree that you have met your burden of proof and there is no doubt you weren’t in the jurisdiction. An Advisory Opinion is issued at the request of a person or entity. It is limited to the facts set forth therein and is binding on the Department only with respect to the person or entity to whom it is issued and only if the person or entity fully and accurately describes all relevant facts. 11.9.15 - SALT TALK: Golf and a Little Bit of Residency Planning, Anyone? 11.23.15 - SALT TALK: Success and Failure Are Not Permanent, So Why Is My Abode? 11.30.15 - SALT TALK: Permanent Place of Abode: Can I Call a Plumber? We have discussed many times in the past that in New York State (and City) as well as numerous other tax jurisdictions there are two ways to be considered a resident (and thereby taxed on worldwide income) for income tax purposes. First, the domicile test. It is the “touchy-feely” test of what your intentions are and where you intend your home to be. Then there is the arguably more objective statutory resident test. 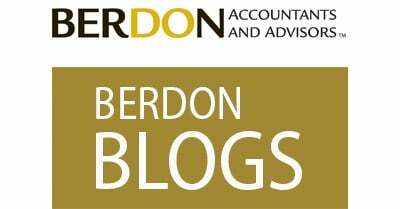 If you have a “permanent place of abode” (“PPA,” a term of art, which is at the center of this blog) and are “present” in the jurisdiction for more than 183 days, you are a resident. SALT TALK: Traps In Transactions - To Bulk Up or Not? Well, the good news is there is no additional tax added to the sale of a business or all of its assets. The bad news, however, is that states have a bulk sales notification requirement and the rules are as diverse as the states themselves. Bulk sales rules provide a notification mechanism to the taxing authorities. It is often their last chance to collect already existing liabilities of the seller and in some jurisdictions, liabilities that arise as a result of the sale. Failure to comply with the rules can leave the buyer responsible for the seller’s tax liabilities. The holiday season is upon us and the spirit of gift giving and generosity is permeating everything we do. Those of us who have not given all we want to our favorite charities are rushing to send donations before year-end. Charities, obviously well aware of the donor crunch to get the charitable contribution deduction in the current year are spending significant amounts of their campaign budgets at this very moment. They remind us all, give until it hurts. Nevertheless, who ever thought we would be receiving such solicitations from our friendly state tax agency? Several states, including New York, New Jersey and Connecticut are responding to the federal Tax Cuts and Jobs Act (TCJA) limit on state and local tax (SALT) deduction by converting your tax liability to a charitable contribution. For those of you non-believers in the art of alchemy, maybe it is time to rethink the matter. New York City residents have always been hit hard by the high personal income tax rates, which can go as high as a combined State and City rate of almost 12.7%. The pain moderated to some degree by the federal itemized deduction for state and local taxes no longer provides any relief since the deductions cap under federal tax reform. Clients have been looking for a way out. Some are willing to go as far as leaving their formerly beloved NYC for good. When I heard some grumbling about the New York City tax rate dropping, I was excited for taxpayers, but surprised that this was the first I heard of it. The Boomtown Rats second number one single, “I Don’t Like Mondays” released in 1979, obviously has absolutely nothing to do with Cyber Monday, first recognized in 2005. It also has nothing to do with that nagging feeling some of you have after an extended Thanksgiving weekend. So while my team and I are eager to go this Monday morning, why you ask, don’t we like Cyber Mondays?